The red carpet at Monday’s Black Panther premiere gave us life. One fan described the A-list event as something that “really put fashion shows to shame,” and we couldn’t agree more. As one of the most anticipated Marvel comic book movies of the year — which happens to star a nearly all-black cast — the film’s actors, crew and fans dressed the part and celebrated with truly out-of-this-world fashion. Black Panther follows its titular superhero, real name T’Challa, and his adventures after he returns home to the secret African nation of Wakanda. He’s now the king of his country following the death of his father (in 2016’s Avengers: Civil War), but T’Challa will have to overcome adversaries before taking the throne. With the theme of African royalty in mind, guests slayed the red carpet with full-on fashion that celebrated African culture with pride. 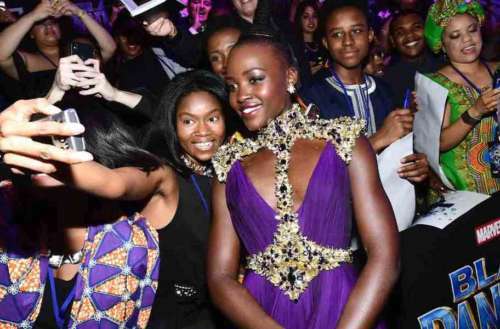 The stars of this movie — including Chadwick Boseman, Michael B. Jordan and Lupita Nyong’o — were at their most regal on the Black Panther premiere red carpet. 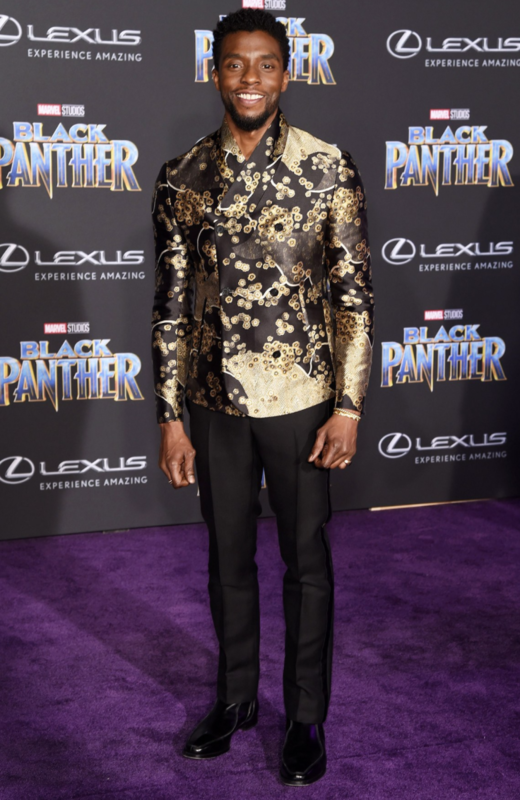 Boseman, who plays the title role, sported a gold Emporio Armani floral print top. The beautiful Nyong’o stopped the red carpet traffic in a gorgeous Atelier Versace gown. Even Janelle Monae, who just the night before delivered a passionate speech at this year’s Grammy Awards, showed up at the event in a fabulous ball gown and a matching crown. 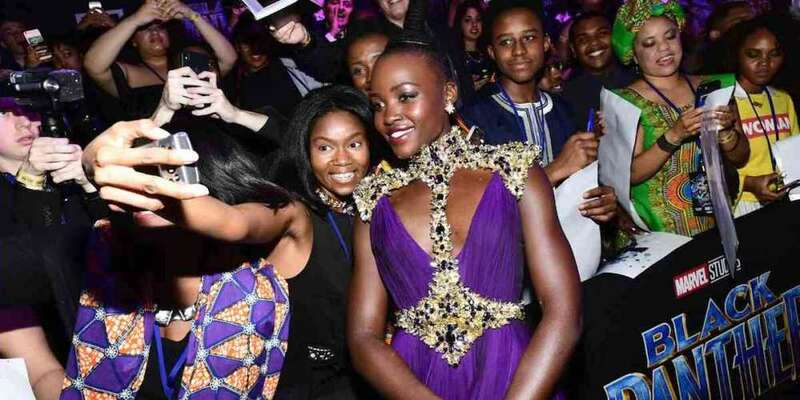 Rich and vibrant colors, an African royalty theme, dapper design details — the Black Panther premiere was our favorite red carpet event in ages. 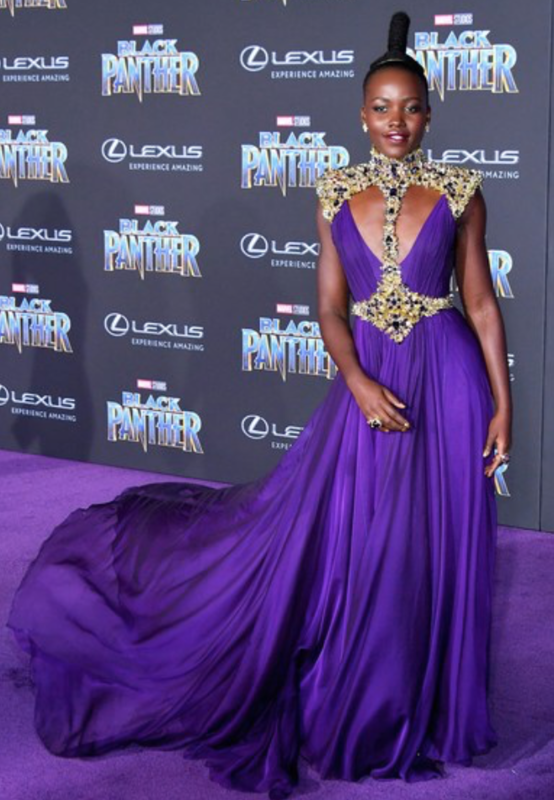 What was your favorite red carpet look from the Black Panther premiere? Sound off in the comments.